The difference between this recipe and most vegan Parmesan cheese recipes is the addition of a little miso paste. 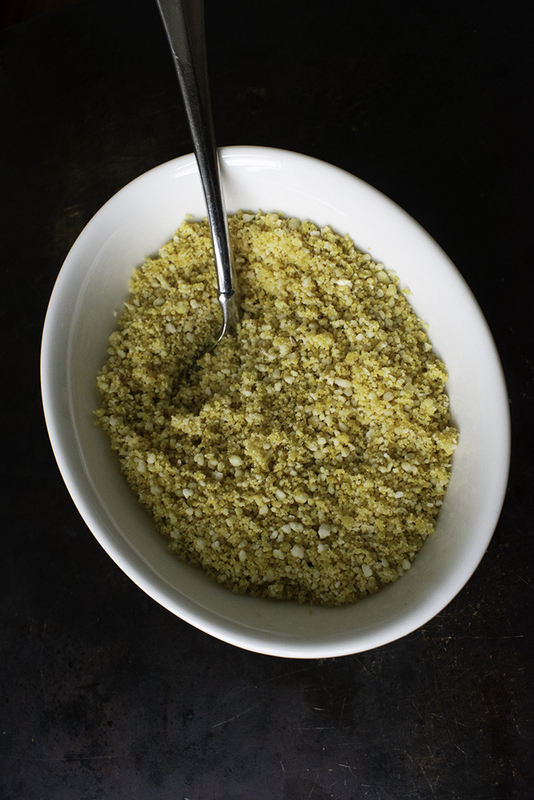 The miso adds a salty umami undertone that works well with the nutritional yeast to mimic Parmesan. Although this “cheese” does not melt, it can play many of the roles that dairy-based Parmesan can. Add to a food processor and mix/pulse until a fine meal is achieved.